Android is one of the most widely used mobile operating system. 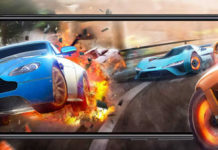 It is highest selling mobile platform overall. Many of us are using and moving towards Android powered mobile phones. One of the most important feature of the Android OS is its User Interface, you can customize it as you want. So you cannot feel bored while using your android phone. The different android phone manufacturers launch their mobile phones with their own custom User Interface. A few days after using your new phone you might feel bored with user interface. 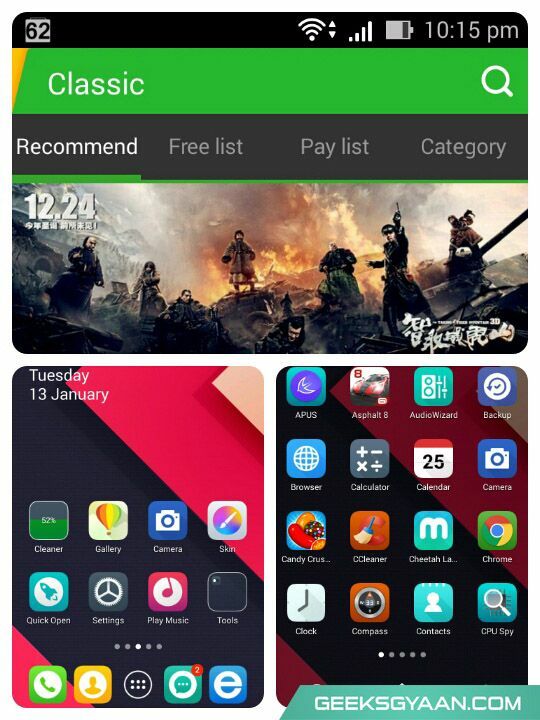 As I mentioned earlier we can customize the user interface of an android phone as we want by just replacing the stock app launcher with new one. There are tons of android launchers available on Google Play Store to download and install. 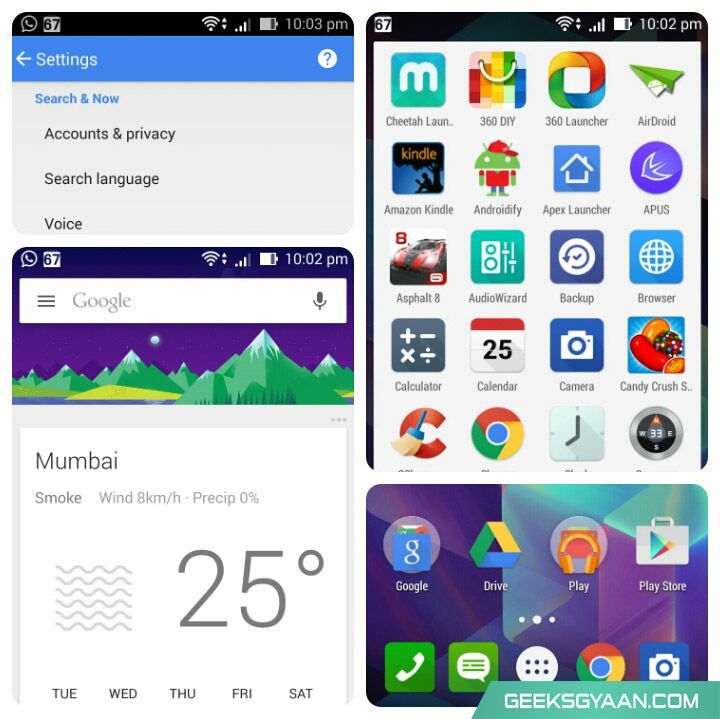 You might be get confused while choosing your best android launcher from Google play store. 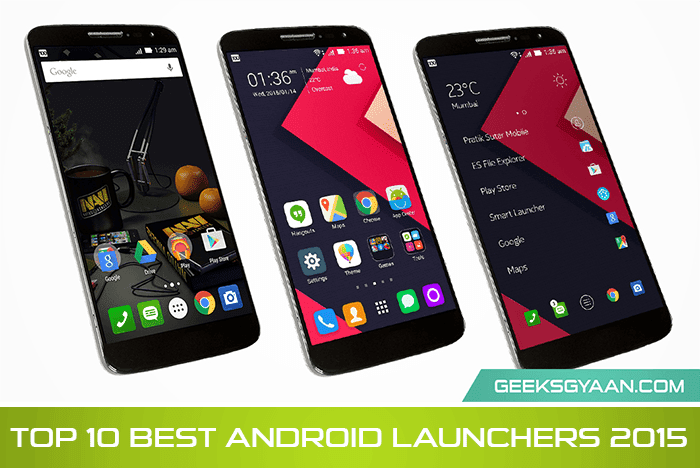 So in this article we are going to see some top 10 best android launcher for 2015 to use in your android phone. The android launchers listed below is not ordered according to their specific rank. You can choose any one which you like. If you are bored with your existing stock launcher and want to try user interface close to stock but customizable then you should give the try to Nova Launcher. It is one of the popular and most polished customizable launchers for modern android. 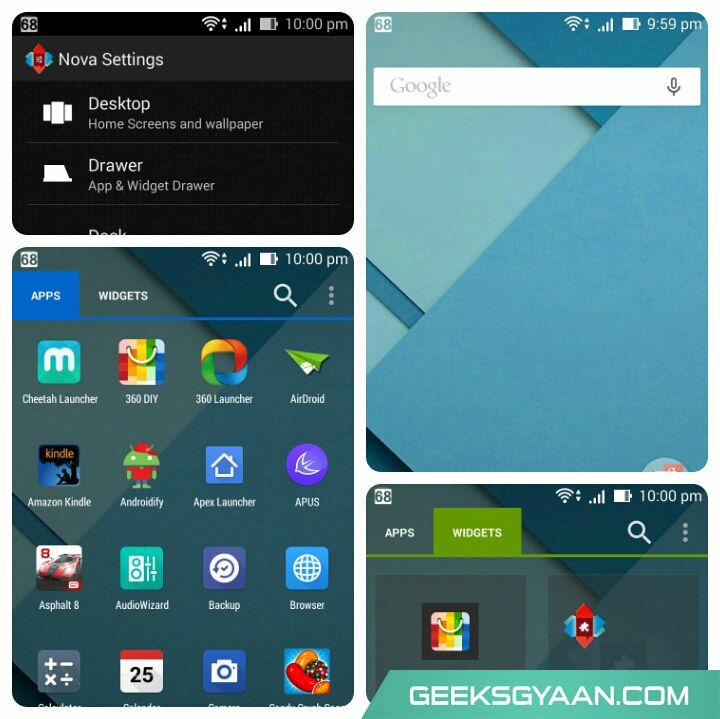 Nova android launcher is one of the fastest android launcher available to download for free. There are tons of icons packs are available for this best launcher and it is highly customizable. You can download this one of the best android launcher from link given below. Google Now Launcher is one of the best launcher that gives you feel of stock vanilla experience of the Android. If you are bored with your manufacturers custom user interface and want try out Nexus like UI then this launcher will not let you down. This launcher is close to stock because it is made by Google to enhance usability of the Google Now feature. You can access Google Now just by swiping the home screen towards left. User Interface of this android launcher is buttery smooth and fluid, thus it make one of the fastest android launcher ever. We have included this launcher in our Top 15 Must Have Android Apps . 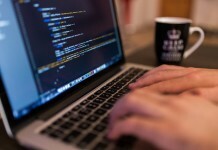 You can just check that article to find out best android apps. 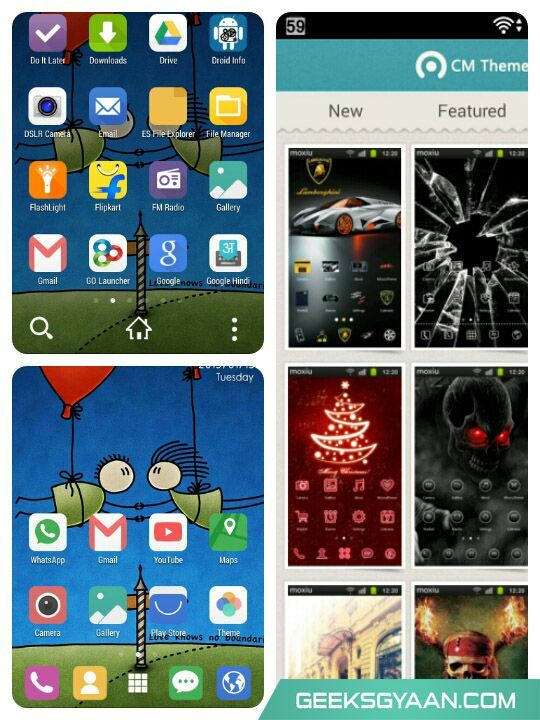 To download this android best launcher just click on link below. 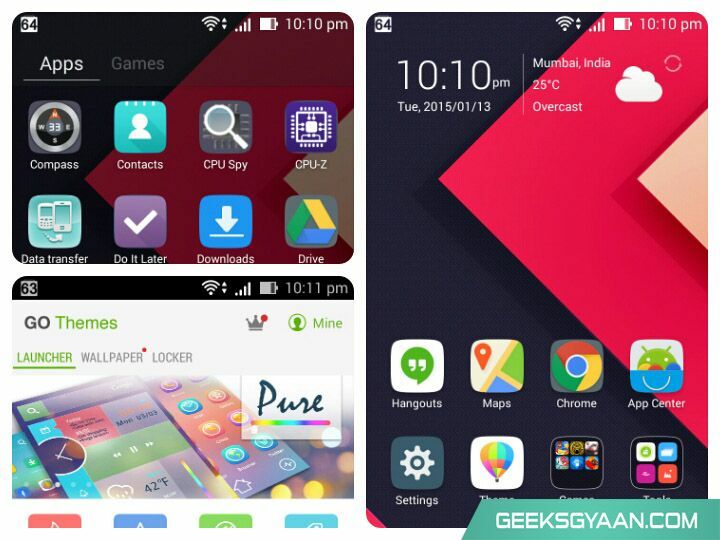 Go Launcher EX is one of the oldest android launcher that supports almost all of the Android versions till now. Go launcher is highly customizable, fluid, and has tons transition effects and animations. Thus it make best android launcher among others. Tons of themes and icons packs are available to download for free for this best launcher. You can download this fastest android launcher from the link given below. As like Go Launcher EX, 360 Launcher is the fastest android launcher which supports older version (2.1+) of Android. It offers highly customized features, a lot of transition animations, tons of themes, wallpapers and fonts, plenty of lock screens, widgets, etc. The features it offers make it one of the best launcher. You can download this android launcher from the link given below. Just like Nova and Google Now Launcher, Apex launcher provides same stock vanilla like user interface. This android launcher is also has lot of customizations, and make it buttery smooth experience. You will never feel lag while using this fastest android launcher. To download Apex Launcher click on the link below. Cheetah Launcher delivers you a personalized and intelligent experience of the Android launcher. It comes with some cool functions, customizations and premium themes. Cheetah launcher is smooth, simple and fast android launcher which occupies less than 50% of RAM than Stock launcher. You can download Cheetah Launcher from the link given below. 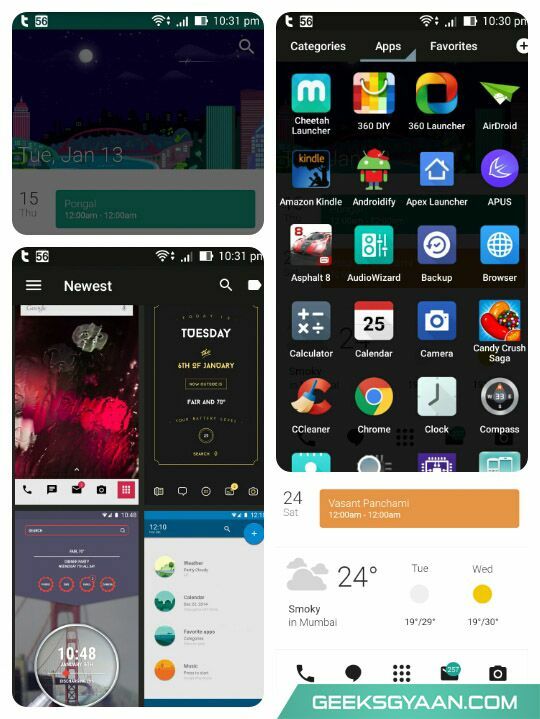 Themer is unique and different than other Android launchers available on the Google Play Store. It gives you feel of a totally different user interface with the use of tons of different themes and wallpapers. You might feel like a magic trick and it will make your android phone simply look amazing with its attractive functionalities. The only disadvantage is that Themer uses more RAM memory than the stock launcher because of the high customizations. This launcher is ideal for the device which has RAM more than 1GB. You can download this best launcher from the link given below. Z Launcher is the android launcher from Nokia. It makes a re-imagined way to use your Android phone. It launches anything in just one second. It offers cool and unique functionality than other android launchers. You just have to draw the letter to find out anything. Its user interface make it simple to use. It launches everything instantly that makes it fastest android launcher than all others. To download Z launcher click on the link below. 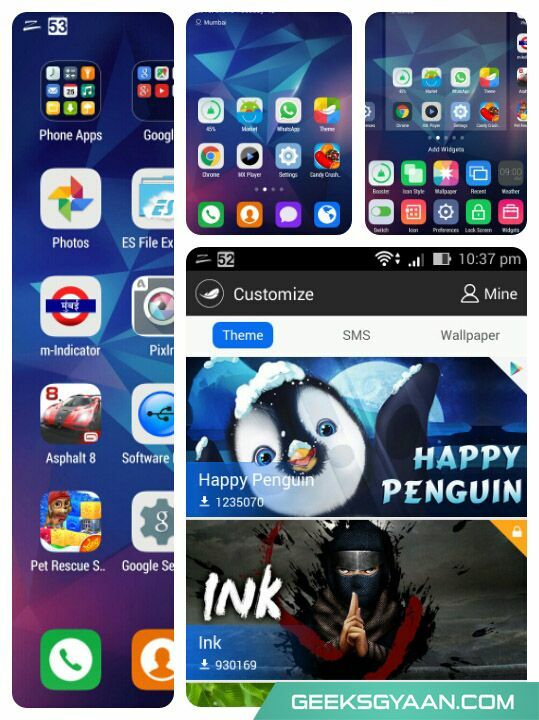 Apus Launcher is one of the popular and widely used Android Launcher. It has downloaded on more than 70 million devices in over 235 countries. 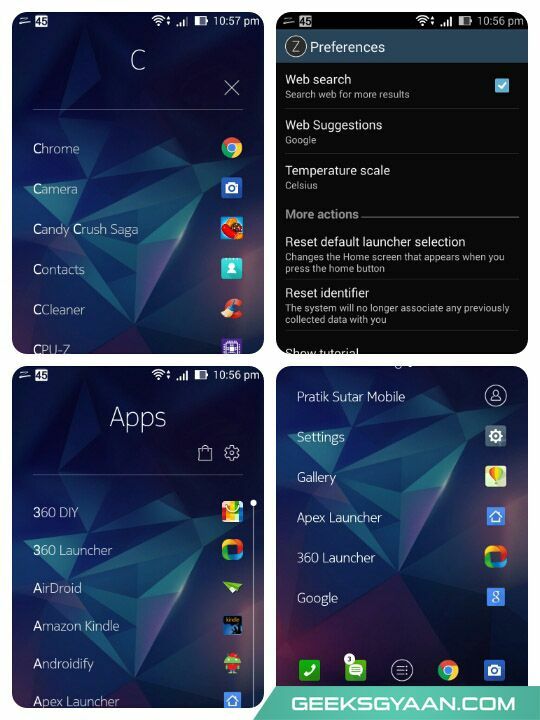 Apus Launcher is one of the smallest, simplest and fastest Android Launcher available on Google Play Store. It comes with many useful and unique things that make it easy to use. It provide somewhat iPhone style app launching experience. 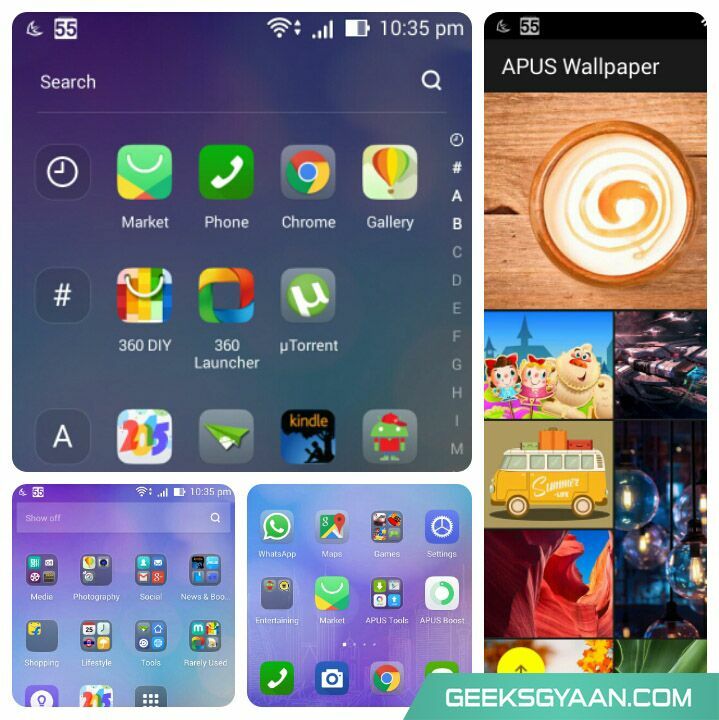 You can download Apus Android Launcher from the link given below. If you want to try iPhone style user interface on your android device then you should try Zero Launcher. Zero Launcher is the smallest, perfect and fastest android launcher. It has tons of transitions and 3D animation effects. It has its own theme store that has lots of free and premium themes and wallpapers for customizations. 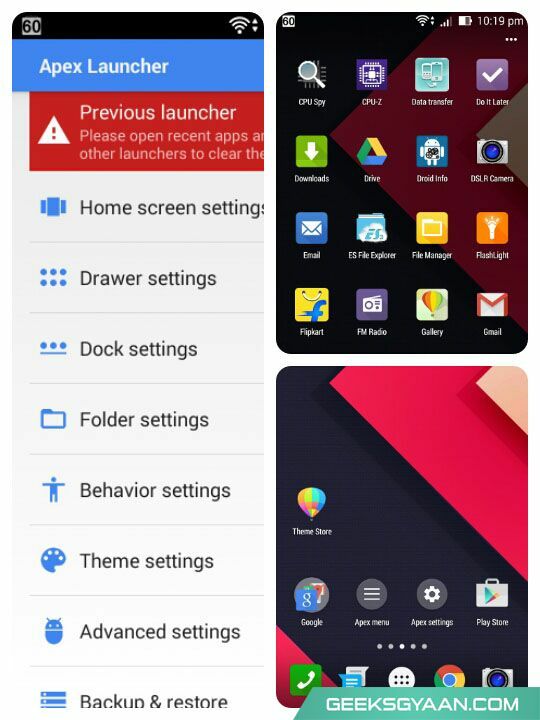 You can download Zero Launcher from the link given below. I usually use Nova as my main launcher but recently I’ve been trying out Solo Launcher instead because it claimed to offer very similar stuff to the premium version of nova but for free. I have to admit I was really quite surprised with how good it is! It maybe needs some optimisation in some areas but overall I’ve found it really effective and simple to use. Some of the features are separate downloads which I guess is to save on download speed but they’re all free and work really well. I don’t think I’ll bother downloading Nova Prime now because Solo does everything I need it to. Just thought I’d put a recommendation here ‘cos I don’t see much talk about it and thought people might save themselves a little money! But others launchers are good….